I am having trouble visualizing what you are describing. “Bar height” means +/- 42” ? At 11 1/2” wide, I think your table will be “tippy”. You may want to add some weight to the bottom to lower the center of gravity. I was thinking about adding a 1 by 3 in the shape of a tee at the bottom basically I would have the table top at 41 inches high . 12 inches up at each corner would be a tee pipe then another 12 inches up would be another tee that’s basically for each corner leg . I would run a piece of 6 inch across in both of those places to tie the legs together . The rear legs would have tees running across to tie the back legs in does this make more sense ? From the picture it looks like flanges have been used at the floor. 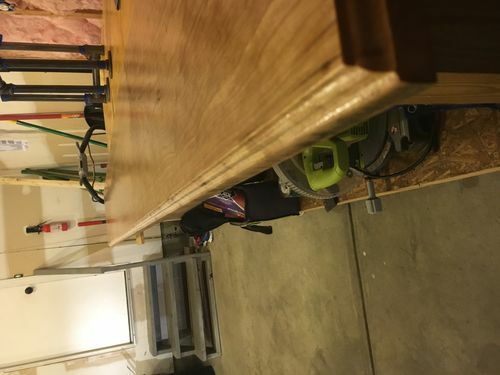 If they are screwed to the floor the narrow width at that height is not a problem as the entire table is held in place at the floor. Even so I am guessing it will shake alot if bumped. If I used hair pin legs would that help more or is the only way to make not not wobble to add legs and a table apron ? 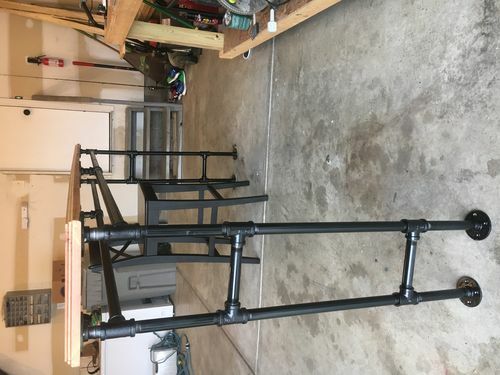 I made a sofa table like this, and it looks good but it is a little tippy if bumped. 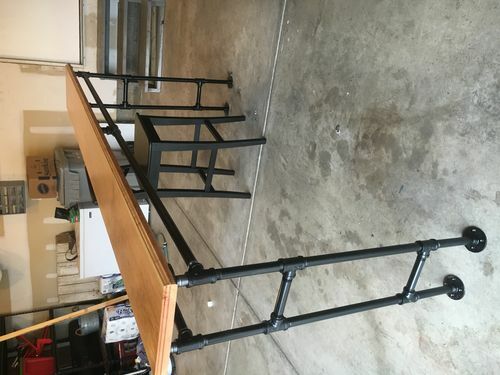 My table is about 72” long, 11” wide, and maybe 34”. I have a stretcher that runs along the back, about midway down. 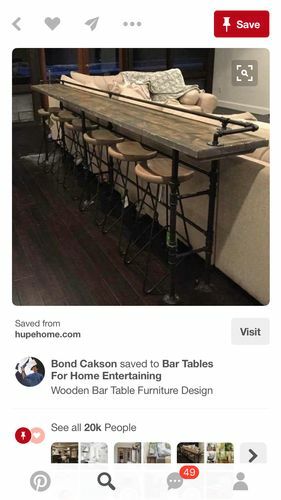 Mine is snugged against the couch so it isn’t a problem (no one runs into it, and it isn’t holding liquids often) but you might want to secure the bar table to the wall. Even discreet little angle brackets would help it feel more sturdy. Also, I used paint on the pipe to make it evenly black and I found simple green was a great degreaser to wash the pipe with before painting. Just suggesting it bc you might have it on hand. Thanks for all the info ! I actually started degreasing the pipe last night with simple green and I will definitely be painting it . My table is going behind a couch though so I can’t secure to a wall . I have laminate floor that is over concrete I hate drilling into the floor but do you think that is probably my best way of securing it ? I was going to use hairpin legs , but it still would of been wobbley right? Got it done just need to secure it . It is a tad wobbly but I hope once I secure it down it will be fine .